A straightforward circular polarised mushroom antenna. It's right-hand circular polarised and we have them available in SMA and RPSMA. As with all good quality CP antennas, it will increase the range and clarity of your video signal. It will also help to reject 'multipath interference', a common problem with standard dipole stock antennas. It can be used for both your FPV transmitter and receiver. 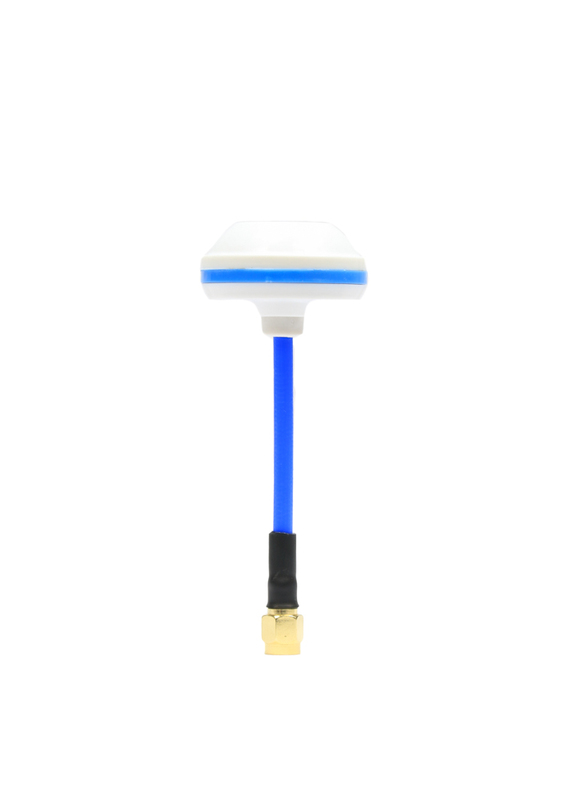 The antenna features a hard plastic shell, which gives it some crash protection.